From parents to teachers to entertainers to politicians to sports figures — we all have a responsibility to the next generation to be a thoughtful and respectful role model, not only offline, but especially online. We can’t control how people act, but we can control how we respond to it and talk to our children about it if it’s inappropriate. In today’s world, your online reputation can dictate your future. Whether you’re applying to colleges or interviewing for jobs — your name will likely be put through the Google rinse cycle. It’s not only your social media content that will be reviewed, more importantly is your online behavior. How do you interact with others in cyberspace? Your online behavior is a reflection of your offline character. Never doubt your you don’t a second chance to make a first impression — today that first impression is likely your digital one. Become an up-stander when you witness cyber-hate. See something—say something. Discuss offline about online inappropriate behavior. Think twice, post once. 15 minutes of humor is never worth a lifetime of humiliation. 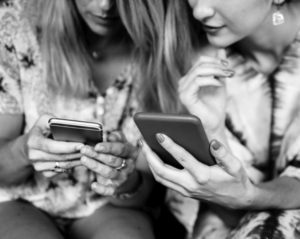 Guidelines for safe sharing online. Be constructive with your comments, not combative. (Hate can perpetuates hate, click out if you can’t control yourself). Anger is temporary, the Internet is forever. Report, flag and talk about harassment. (Make sure your kids know these features). 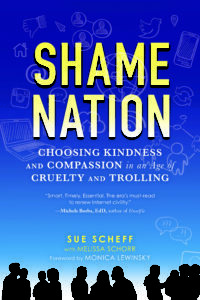 Learn more about preventing, surviving and overcoming digital disasters, cyberbullying and other forms of incivility in Shame Nation book.